>I was most excited to get this diaper. The print looked adorable online, and the outside was a soft “minky” material. In person, the print wasn’t nearly as cute as I expected, but it is cute and soft. I really dislike the insert. It is hemp and microfiber and I had to wash it numerous times before using, to remove the natural oils. I found it confusing to snap and fold. The instructions said to fold it in thirds and snap, but doing that put the microfiber sandwiched in the middle, and I thought microfiber was supposed to be on the baby side inside the pocket. The other diapers I have used have had the PUL layer directly on the outside. Since this is minky outside, I think the PUL is sandwiched inside (need to look at it more closely). Once I had the diaper on him, it had this weird plastic crinkle to it that is hard to explain, but it was as if he had plastic pants on. At first I thought there was something strange going on with the insert but I am almost sure it was the PUL layer. Like it was moving around inside? This seemed to be the only diaper with good laundry tabs. They remained firmly attached and I actually had a hard time undoing them when it was time to put the diaper on. The diaper was a member of the diaper chain in the wash though, the hook part of the velcro on other diapers gravitated towards this one. I have never seen a diaper more expensive than this one. Between the price, washing issues of the hemp, the weird insert, plastic crinkle and so forth, I would not buy another one. Plenty of WAHMs make dipes with minky on the outside if that’s what you’re looking for. Blueberry has other diapers, some have snaps. They have several prints that I like and the non-minky diapers are about $5 cheaper, but they are still very, very expensive. 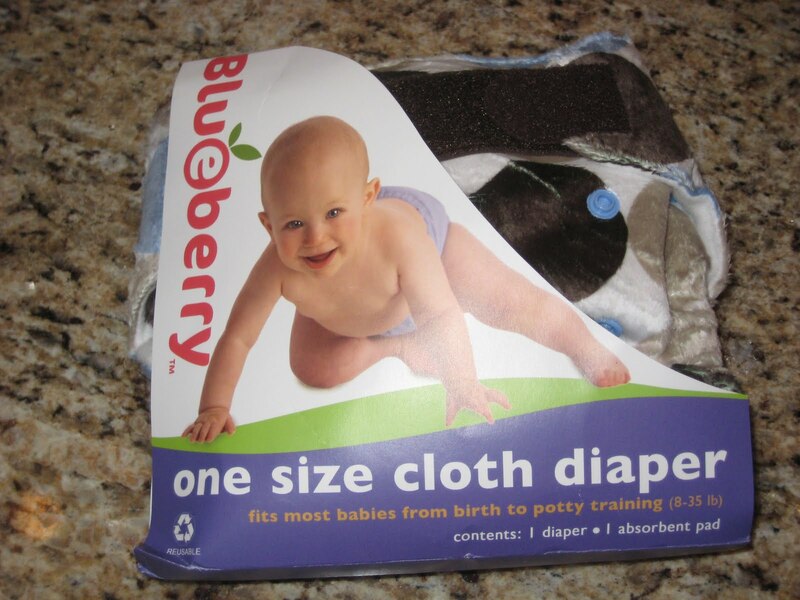 I believe Blueberry is in some way affiliated with Swaddlebees, and I wonder if their diapers are any different, they look very similar in photos online. I would love to try a different type of Blueberry diaper, but there is no way I can bring myself to pay almost twice as much for one. I would much rather have two fuzzibunz! After having used this for four months, I love the insert (just had to figure it out) and HATE those “sticky” laundry tabs. It’s near impossible to rip the velcro off of them, and one of the laundry tabs is shredded and torn almost completely off. The company just emailed me a virtual *shrug* and said that you can’t win with velcro, either it’s too sticky or not sticky enough. The inner is also quite pilly and gross looking. On the other hand, my Blueberry Bamboo diaper still rocks. It looks new, the snaps work wonderfully and so on. I just prefer a stay dry inner, but I can always get a liner for it. I should have listened to the reviews that said to stay away from Blueberry velcro!! >If they make a snap minky, go for it!! >Thanks for the headsup! I guess I shall have to indulge my minky fascination elsewhere! I do have a Preston's Pants on its way to me (minky WITH snaps) so i'll see if i'm still fascinated with minky. but i'll definitely pass on the blueberry minky. thanks! >I hear really good things about Fuzzibunz.